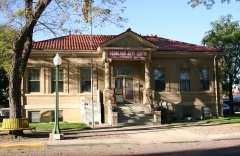 Constructed in 1912-1913, the Goodland Carnegie Library is a one-story brick building with a red clay tile hip roof. A portico with Ionic columns define the main entrance. Designed by Barrensen Brothers of Denver and constructed by Fred Hunt of Goodland, it has characteristics of the Italian Renaissance Revival style. It was nominated for its architecture and for is association with the cultural and educational history of the community. 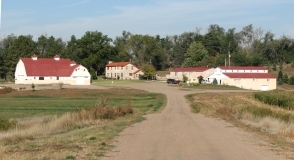 The Kuhrt Ranch Historic District is a collection of buildings that include a limestone house and barn. Originally settled by Joseph Collier, he built the first sod house on the property and by 1883 operated a post office and general store out of the building. In 1907, the two-story limestone house was constructed along with a gambrel roof barn and outbuildings. In 1891 William and Pauline Kuhrt purchased the property; they closed the post office but continued the general goods store. The Kuhrts were active in the local school and cemetery boards in conjunction to having a prosperous ranch. The property was nominated for its architecture. The Ennis House was built in 1906 by local builder Fred Hunt for Mary Seaman Ennis. She was the widow of William Ennis, a prominent local businessman who had operated one of Goodland's first drug stores. Mrs. Ennis was a successful entrepreneur in her own right operating a hotel in Colorado and Goodland and a millinery shop. The two-story Queen Anne-style house reflected this success with its high degree of detail including gingerbread trim, two porches, a balcony, and interior wood treatments. It was also one of the first homes in the county to be wired for electricity and telephone service and plumbed for running water. It was nominated for its architecture and for its association with the builder, Fred Hunt. The rural Ruleton School was constructed circa 1928. The one-story, red brick building has a central bay and is flanked by one-story wings. 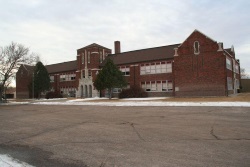 Area residents passed a bond issue in March of 1928 to construct the school that would replace a wood frame structure. The bond was passed and the school board hired local foreman Tom Jensen of Goodland to oversee a crew of local men to build the building. 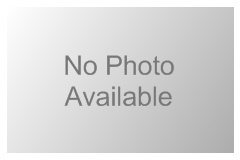 It was nominated for its association with local education. 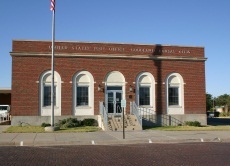 Constructed circa 1935-1936, the Goodland Post Office is a one-story, red brick building in the Classical Revival-style. Louis Simon was the supervising architect with Lundgren and Carlson constructing the smaller standardized design type that was repeated throughout the country during the 1930s. A mural, "Rural Free Delivery" painted by artist Kenneth M. Adams, is an oil on canvas depicting a scene of mail delivery to a Kansas farm was installed in the lobby. 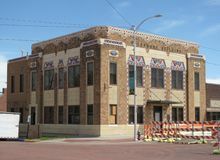 The building was nominated as part of the "Kansas Post Office Artwork" multiple property listing for its association with New Deal-era Post Office art and for its architecture. Constructed in 1931, Goodland’s United Telephone Building is significant as an excellent local representative of the Art Deco style. Characterized by solid, rectilinear forms, colorful terra cotta geometrical design elements, and strong symmetry of the whole, the 1931 building is an enduring influential example of workmanship and materials of the early 1930s. Constructed as the company offices and housing delicate telephone equipment, the fireproof building served as a communications facility for the United Telephone Company, with home offices at Abilene, Kansas. It served the same purpose from 1937 onward when United was taken over by the Southwestern Bell Telephone Company. In 1990 a new building for digital equipment was built by Southwestern Bell and occupied in 1991, at which time the 1931 building ceased its use as a telephone utility. The building remained vacant until it was bought by Sherman County in 1994. 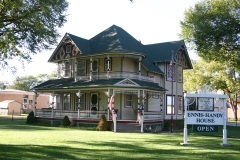 In 2017 the county gifted the building to the Sherman County Historical Society.